Beautiful home with all-day sun and beautiful expansive. This house is set on top of a ridge with twin views over Oneroa and Surfdale. With the addition of spa pool to keep you warm and relaxed during those winter nights. . It has three bedrooms - one with an ensuite, and a second bathroom. Two of the bedrooms open up to decks with outstanding views. The decks surround much of the house, with outdoor furniture, making it a great place to relax and unwind or enjoy evening meals on the BBQ. You can enjoy a local Waiheke wine while watching the boats come and go in Oneroa bay, or take in the magnificent sunrises and sunsets. There are beautiful landscaped places around the garden to relax, there is a tropical garden at the front of the house and attractive gardens surrounding the rest of the house to take a snooze, or watch the birdlife. The house is close to beaches, car ferry, and passenger ferry terminal in Matiatia - 10 minutes walk to either Little Oneroa or Surfdale, and just a little further to beautiful Oneroa beach - all are great beaches for families. Oneroa township, with its cafes, galleries, arts and craft shops, restaurants and other interesting shops, is close by - 20 minutes walk or five minutes by car. The house is centrally located to other landmark beaches like Palm Beach or Onetangi Beach. Wineries such as Mudbrick, Cable Bay, Stoneyridge and Te Whau are also near by and are great for wine tasting, There is a school in Blackpool for cricket or volleyball and a regional park for BBQ and picnics. There are other attractions Waiheke has to offer such as the Market on Saturday morning at Ostend which is a must-see. Two of the bedrooms have queen-size beds; the third has a king-size bed which can be separated into two single beds. There is 50" TV, MYSky, Wii, cricket set, frisbie, rugby ball, boggie board, table tennis table, a dart board and a mountain bike to occupy you. We also have umbrellas, beach chairs and picnic gear for the beach. 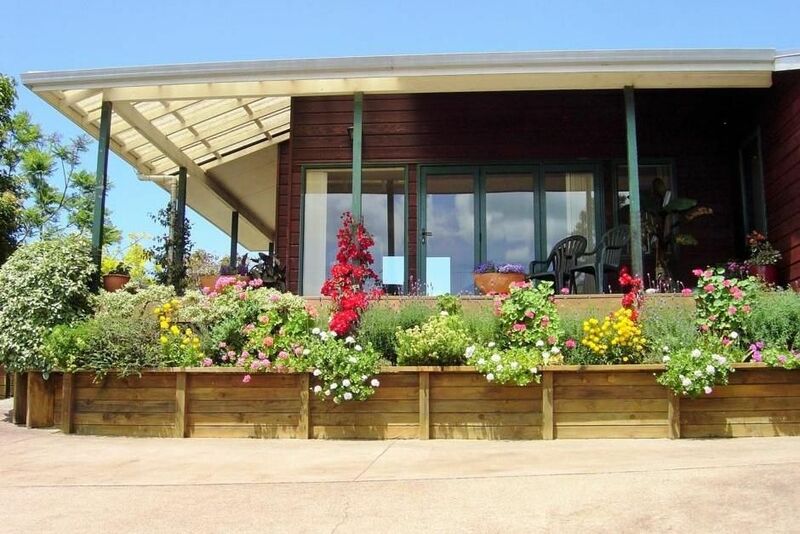 On arrival you will receive a popular Waiheke wine, a bunch of flowers and Chocolates. Also we will provide plunger coffee,tea and milk to get you started. Please be considerate of our great neighbours. Dogs OK but not on the furniture. Beautiful gardens and birdlife, with lots of outdoor seating.